My friends and I were doing dinner and a movie one night, Parenthood, back during stone fruit season so I’m sorry this is super late, and I wanted to make a dessert that went with meatloaf. The hostess suggested a peach pie, so here we are. 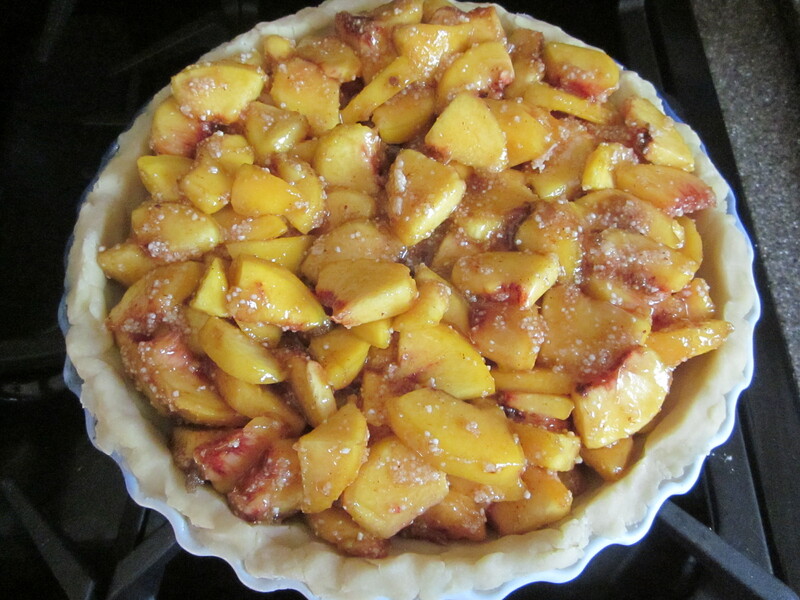 Prepare your lower crust and let it chill in the pie dish per your recipe directions. 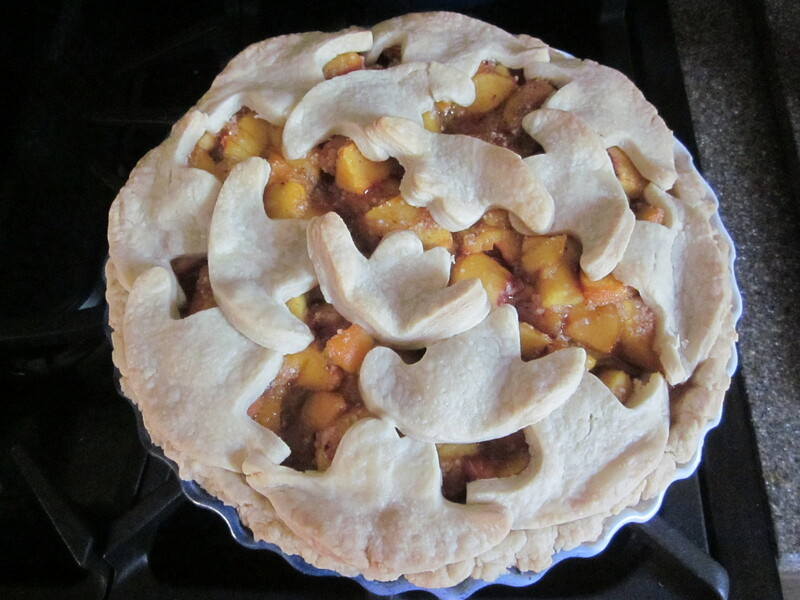 For the top, I opted to cut out shapes, but you can also do a lattice. 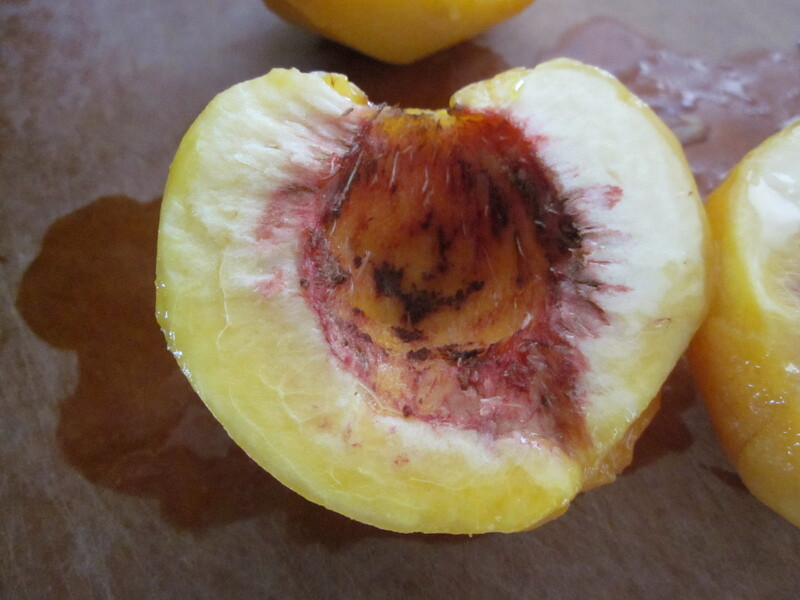 You won’t need to worry about this until after you make your filling. 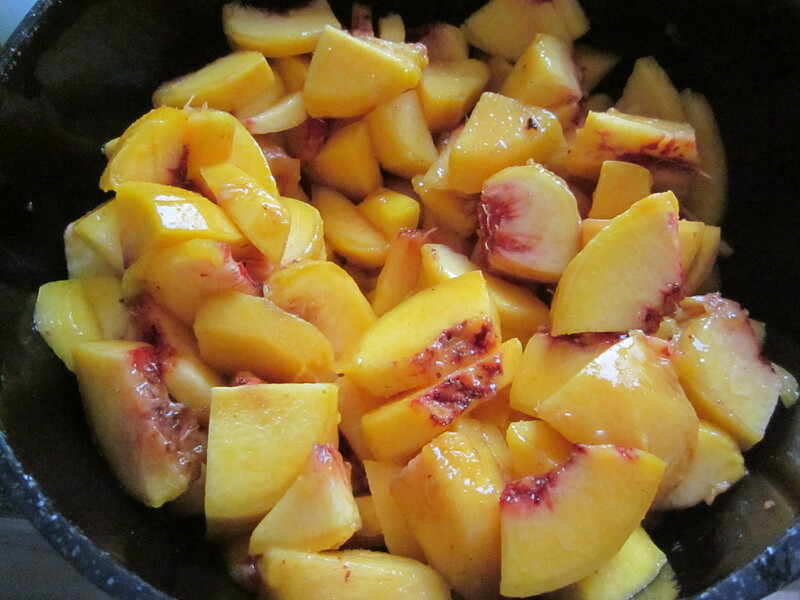 To prepare the peaches, you just need to skin them and pit them, then chop them into bite-sized chunks. I think traditionally they might be left in giant slivers, but I prefer not having to cut through them while I’m eating. 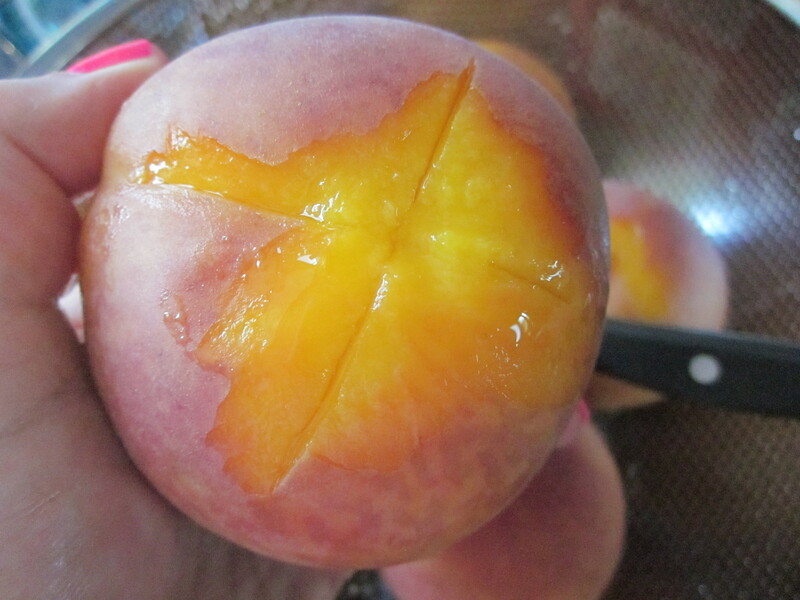 I tried following these instructions to “more easily” skin the peaches, but it didn’t actually work for me, so feel free just to use a veggie peeler or sharp paring knife. That recipe said to boil them 30 seconds, another says to do it for minutes. I did mine about 3 minutes and still had to use a paring knife in the end to disrobe them. Core the peaches and chop them into bite-sized pieces. Then, place them in a giant bowl and add in the sugar, five spice, and flour or corn starch and toss until completely coated. 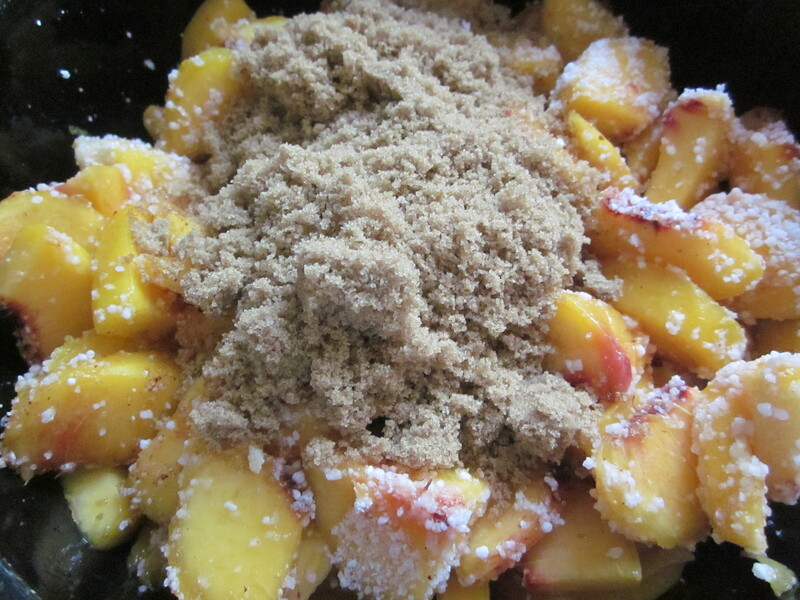 Dump your filling into the prepared pie crust. Now’s a good time to preheat your oven to 375°F. 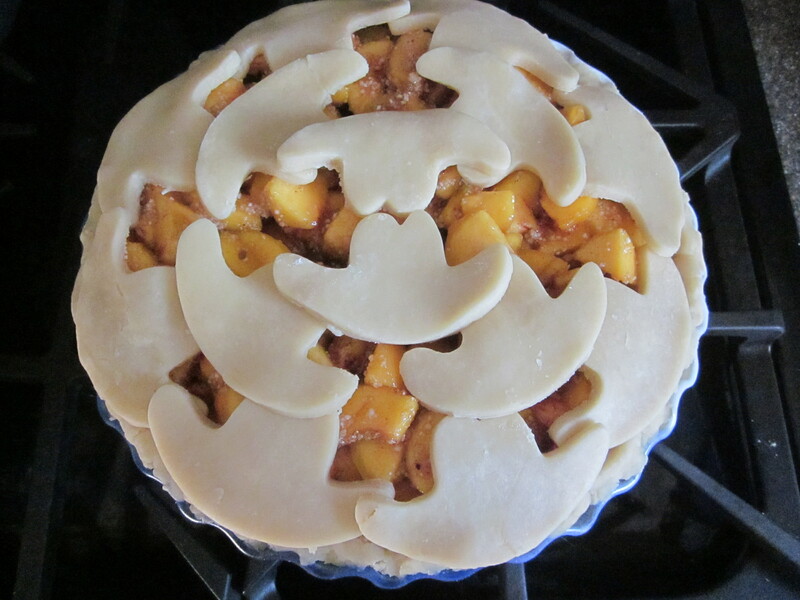 Bake the pie at 375°F for 15 minutes, then lower the temperature to 325°F and bake for another 35-45, until the top starts browning and the filling is a-bubbling. If you feel the crust is browning too quickly, cover it with foil. Once it’s done baking, let it cool before serving. This pie was fantastic, minus the mishap with the tapioca. 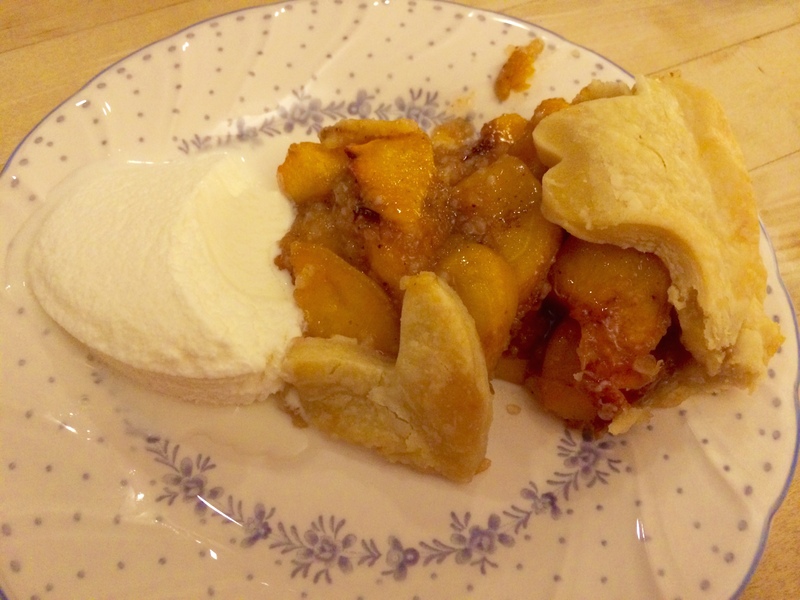 My friend, a self-proclaimed peach pie connoisseur, loved it! And so did everyone else, including myself. Definitely something I’d try again next summer. I can’t say it has a particularly high Evil Rating (maybe a 2? 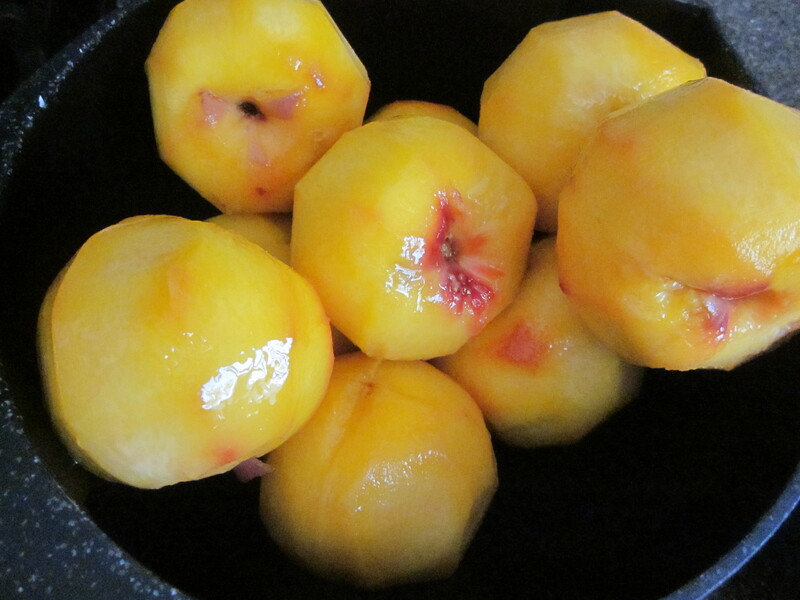 ), but it was a damn good dessert!